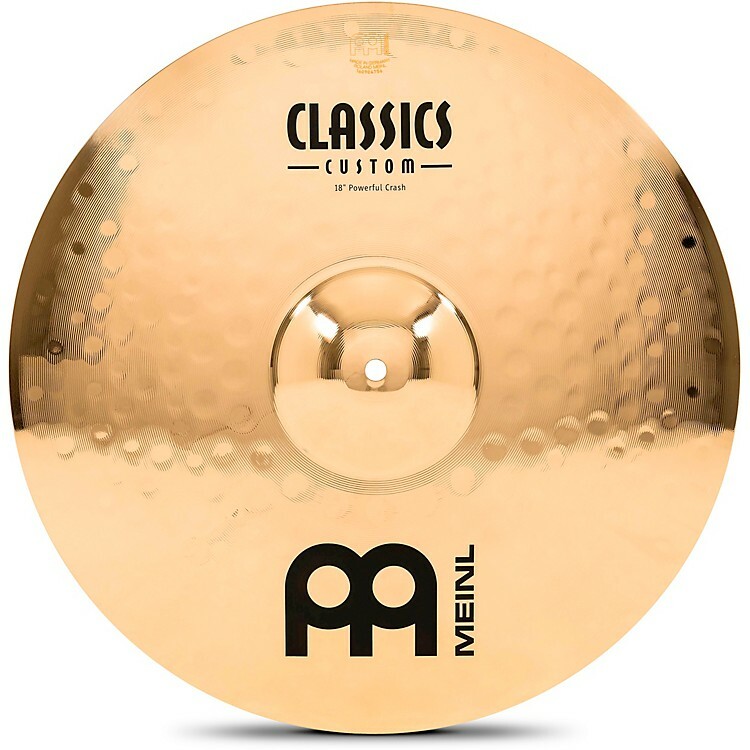 Meinl Classics Custom Powerful Crash - Brilliant 18 in. Sharp, glassy sound with an immediate response and a short decay. Meinl's Classics Custom series are made in Germany using B10 bronze alloy for an explosive modern sound with lots of attack and a moderate decay. They're perfect for adding to your existing set-up since they blend so well with almost any other cymbal. Very bright, clear sound. Has the volume and aggressive projection needed for rock.